The World Ski Awards 2017 was a three-day programme of unrivalled networking events, dinners, and exclusive ski experience activities. The highlight event was the red carpet World Ski Awards Gala Ceremony on the evening of November 18th. Ski tourism figureheads and market leaders from North America, Europe, Asia, South America and Australasia attended and the World Ski Awards 2017 winners revealed. Experience an unforgettable day of private guided skiing on the slopes of the legendary Hahnenkamm. A gourmet lunch will be provided with special guests in attendance to ensure the experience lives long in the memory. Skis and boots are provided but please remember to bring your ski wear! Guests to meet at the hotel reception at 8:45am. Take a visit a visit to some of the Alps most breath-taking natural scenery including a visit to the start house of the world famous "Streif" on the "Hahnenkamm" whilst enjoying a gourmet lunch on the mountain! Guests to meet at the hotel reception at 9:00am. The main event that puts Glitz in Kitz! 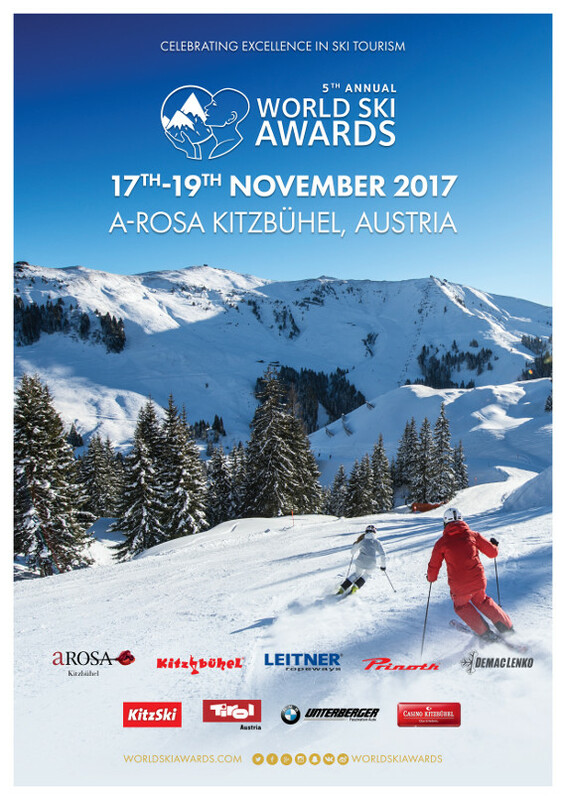 The 2017 World Ski Awards! Beginning with a cocktail reception in the Castle Hall, the glittering evening will include a Gala Dinner, the much anticipated unveiling of the 2017 World Ski Awards winners, entertainment and a celebratory after-party! Experience the Swarovski Crystal Worlds which opened in 1995 - the centennial anniversary of the company's founding. Multimedia artist André Heller designed a unique and magical place! Visited by over thirteen million visitors from all over the world, in this magical place, you will encounter modern art as well as ancient history. Visit "The Giant" and his garden and let yourself be enchanted by the beauty, inspiration and energy, the care, and aesthetics. Guests to meet at the hotel reception at 08:45am.